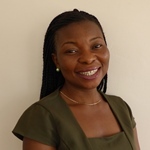 Rhoda Osei-Afful is a Research Officer with the Ghana Centre for Democratic Development (CDD-Ghana). She is a key member of CDD-Ghana’s Elections Team and has supported the implementation of a number of research projects at CDD-Ghana, such as the Transparency and Accountability Project (TAP). Rhoda is working on ESID’s Gender and the political settlement research project in Ghana. Allah-Mensah, B. and Osei-Afful, R. (2017). ‘A political settlement approach to gender empowerment: The case of the Domestic Violence Act and girls’ education policy in Ghana‘, ESID Working Paper No. 91. Manchester. View Rhoda’s CDD Ghana staff profile.